A really brief post because i just saw this over on Indiegogo. 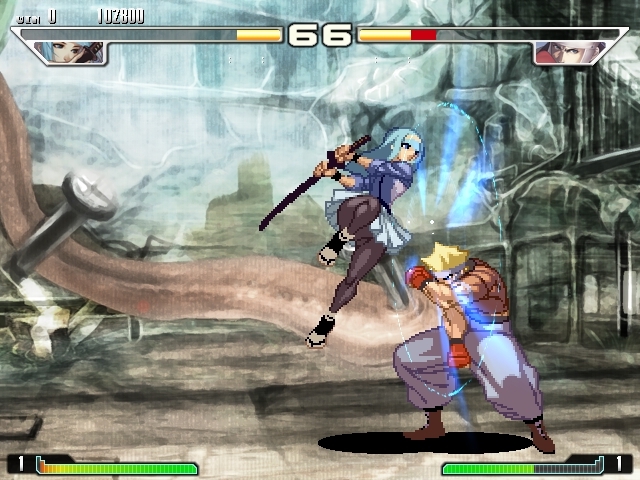 The developers of doujin fighting game Yatagarasu (including 3 former SNK staff members) are running an Indiegogo campaign for an update. The most important news is a worldwide release, but there will also be two additional characters if the funding goal is reached. Currently, it's about $4,500 short of that goal, so it might become a close call. EDIT: If you want to check out the original version first, you can also buy it through Let's Build a Doujin Bundle! There you have to buy at least two games together (some of the other choices are Croixleur and Ether Vapor Remaster), but the minimum pay is $0.75 per game, so that's not much of a problem. Note that this version of the game is in Japanese and might cause some hassle on non-Japanese computers, though. If it doesn't work on Non-Japanese computers, Applocale should fix it.